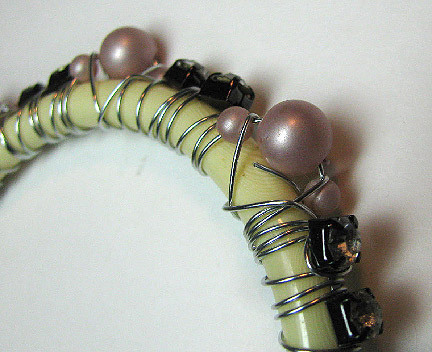 Last week I showed you a fun and easy way to give new life to a boring bangle bracelet. Today, I want to show you an alternative way to wrap it, which is especially helpful if you don't have enough cup chain, or if you want to add different beads to the mix! 1. 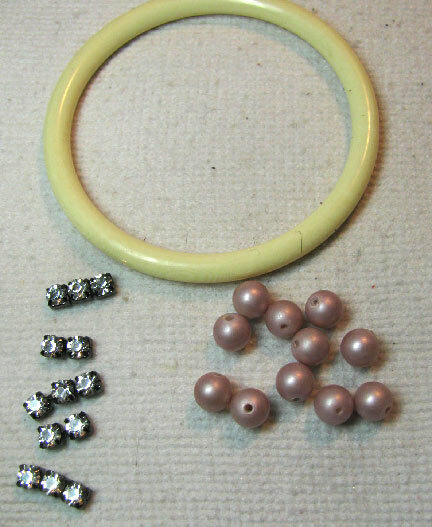 Cut short lengths of cup chain and choose the beads you want to use. 2. Leave a short tail of wire to start, as shown in the tutorial last week, and wrap the wire three times to get started and three times between each "stone". Wrap twice after the cup chain and pick up some beads with the wire. 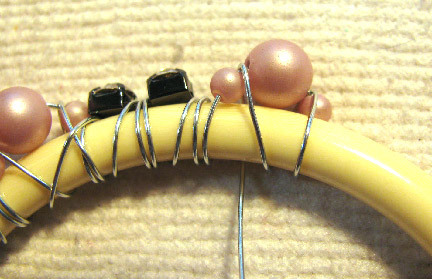 Wrap backwards between each bead, as shown, and then cross wire forwards to start the next wrap. 3. Wrap over the tail and tuck the other end underneath a wire as best you can. Squeeze gently with chain nose pliers to secure. This is just so clever! Thanks so much for sharing again with us!!! Will have to try this when I get back to Michigan! Now to only remember! 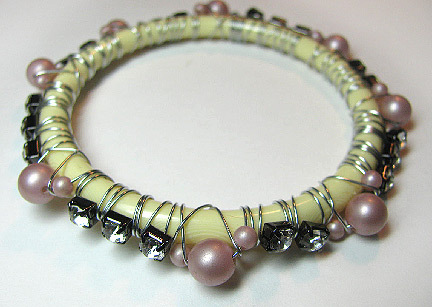 Another lovely reclaimed bangle bracelet. Very clever technique too!